LATEST: TWO people died at the scene of a fiery collision on the Peak Downs Highway this afternoon. Just after 4pm, a truck and two cars collided at Winchester, between Moranbah and Clermont. A 47-year-old man from Emerald who was driving the truck and a 48-year-old woman from Moranbah who was driving a ute, both died at the scene. A Queensland Police spokeswoman said the crash was a head-on. "The utility collided head-on with the truck. The impact spun the ute around, causing to crash head-on with another ute following. Both of the utes caught on fire," she said. "The truck went off the road and struck a tree. The drivers of the truck and the first utility both died." She said the third driver, a woman, suffered only minor injuries. The Peak Downs Highway has been closed to all traffic in both directions for several hours as investigations continue. The double fatality is the latest in a string of tragedies on Mackay region roads so far this year. On February 17, a 6-year-old boy died after he was struck by a car while riding his scooter in Moranbah. On January 28, highly-respected paramedic Craig McCulloch died when the ambulance he was driving crashed into a tree on Mackay-Eungella Road. UPDATE 6PM: PARAMEDICS are still at the scene of a multi-vehicle crash near Moranbah. A QAS spokeswoman said two people were in a critical condition at the scene and one person was still being assessed. A QPS spokeswoman said the Peak Downs Highway was closed to traffic and the forensic crash team was on site. The Department of Transport and Main Roads have advised that the Peak Downs Highway is closed in all directions, 20kms out of Moranbah towards Clermont. Motorists are requested to use alternative routes as long delays are expected. UPDATE 5.15PM: TWO people have been critically injured in a serious highway crash south of Moranbah. A Queensland Ambulance Service spokeswoman said a third patient was being assessed. All three were still at the crash site on the Peak Downs Hwy, about 40km south of Moranbah. A Police Media spokeswoman said the forensic crash unit had been called to the scene. UPDATE 5PM: ONE Queensland Fire and Emergency Services crew has arrived at the scene of a multi-vehicle crash near Moranbah. A QFES spokeswoman said two other crews called to the scene had been stood down. She said crews had extinguished a vehicle fire and police and ambulance crews were also on scene. She could not provide further details. UPDATE 4.45PM: QUEENSLAND police have confirmed three vehicles, including a truck, are involved in a crash on the Peak Downs Highway near Moranbah. A QPS spokeswoman said two vehicles were on fire after the crash at 4.09pm. Queensland Ambulance Service have arrived at the scene. A Queensland Ambulance spokeswoman said the crash reportedly involved a truck and two cars. She said one of the vehicles was fully alight and a number of patients had significant injuries. She said the crash occurred about 40km south of Moranbah. BREAKING 4.20PM: EMERGENCY services are responding to reports of a crash on the Peak Downs Highway, near Moranbah. 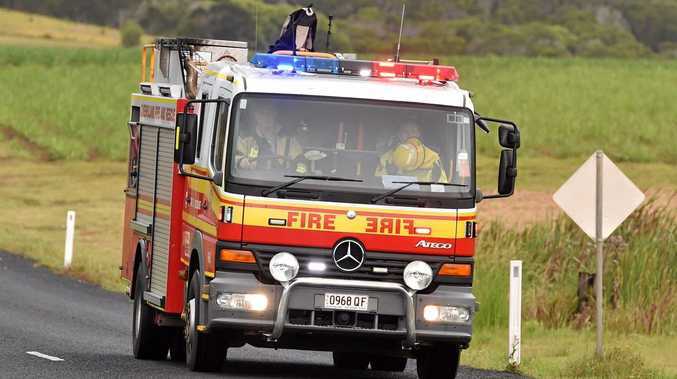 A Queensland Fire and Emergency Services spokeswoman confirmed three fire crews were en route to a two-vehicle crash at Winchester, just west of Moranbah. The severity of the crash is at this stage unknown.